In the early 1960s, Horace Tapscott (1934 –1999) left the Hampton band and returned to Los Angeles to fulfill his dream. He shifted his practice from the trombone to the piano, and—with the Pan-African Peoples Arkestra—began composing, archiving, and preserving. He was also a community activist who was blacklisted in the ’60s, and during the Watts Rebellion of 1965, the LAPD shut down his performances. 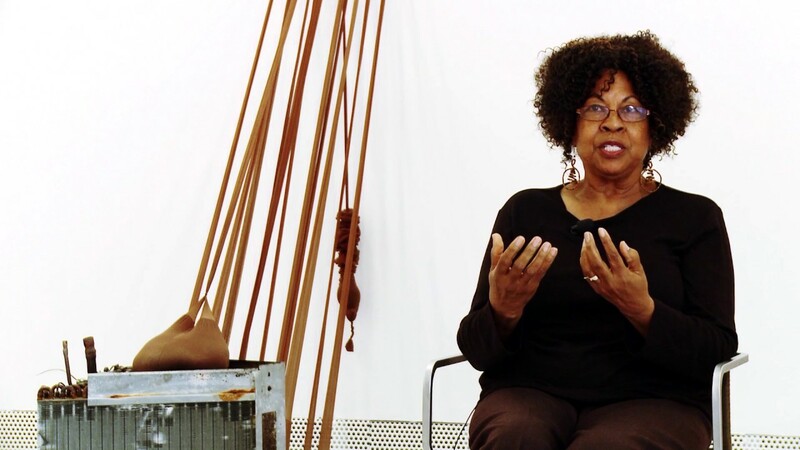 This week, at the Museum of Contemporary Art, filmmaker Barbara McCullough will present her documentary on Tapscott and the history of African-American art, music, and activism in Los Angeles. HORACE TAPSCOTT: MUSICAL GRIOT, Thursday, March 9, 2017 at 7 pm. MOCA Grand Avenue, downtown Los Angeles. *Horace Tapscott, Songs of the Unsung: The Musical and Social Journey of Horace Tapscott, Steven Isoardi, ed. (Durham, N.C.: Duke University Press, 2001). The Call (1978 ) is the second LP by Horace Tapscott’s Pan Afrikan Peoples Arkestra. This entry was posted in CONVERSATION, FILM, MUSIC and tagged Barbara McCullough, Horace Tapscott, Horace Tapscott Musical Griot, MOCA on March 8th, 2017 by Barlo Perry.